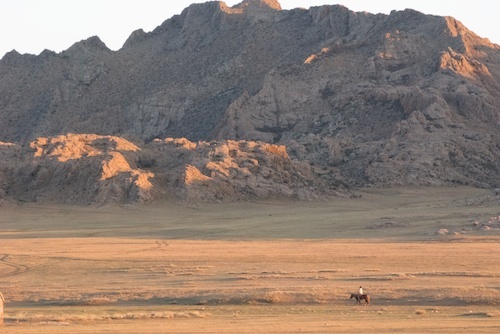 One week from tomorrow I’ll be leaving on my sixth trip to Mongolia. I’ll spend six days in Ulaanbaatar and then will be going out to the countryside with a fellow artist, sculptor Pokey Park. I’ll be showing her the best places I’ve found for viewing wildlife: Hustai National Park, Baga Gazriin Chuluu Nature Reserve, Ikh Nartiin Chuluu Nature Reserve and Gun-Galuut Nature Reserve. Depending on internet availability, I’ll do a post when I can. This trip is a little different because I haven’t had to buy any new gear, just make sure I’ve got it packed. And for that I’ve got a list I’ve honed over time. I’m expecting to see very visible changes in Ulaanbaatar as the economy heats up from the start of various mining operations and a flood of would-be investors pouring in from all over the world. But I know the timelessly beautiful countryside, my beloved earth roads and the hospitality of the herders will be there for me and now I get to share it with a fellow artist.